Oliver Bradley is a Dallas based artist working on both private and public works. born in Derby, England, Oliver specialized in sculpture using environmentally sensitive pieces. He is particularily interested in credating pieces that engage, inform, and involve the viewer as participant as mucha s spectator. Jonathan Brooks is a Texan who transplanted himself to New York City for about ten years to act, create music, and explore every avenue of artistic expression that he could get his hands on. "Intrigued and amazed by the human forms and all of its manifestations, as well as human nature and all of its dark corners. I try to capture the opinions or thought processes and emotions that are created or provoked inside of me while looking at photographs of the inhabitants of this world." Stephen Hartzler is a Dallas/Los Angeles artist, sculptor, and jewelry designer. VET is a recent recipient of the National Endowment of the Arts Award. 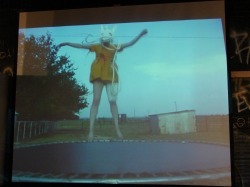 Vet worked on a collaborative multi-disciplinary performance and exhibition at the Dallas Museum of Art. She is a native Texas artist who incorporates recycling awareness and arts education within her projects and residencies. Diane Sikes is a Dallas based artist whose work has been exhibited internationally; she is also the Education Director of the Dallas Contemporary. "I recast found objects to illustrate the transitory nature of memory, thought and time. The objects are marked, scarred and imperfect with inscrutable elements. The works is the progression of forms and materials that reference an internal journey." Cathey Miller moved to Dallas in 1988 and established her own art studio that catered to the design industry, branching out later into theatrical backdrops, and painting for film and TV. Her paintings are portrait-based explorations into a symbol rich outer space environment. These images are metaphoric, and communicate "Cathedonian" ideals of truth, beauty, desire, and romantic heroism. Nicole Arendt is a New York based photographer, sculptor, and video artist. Her work often inhabits a psychological or dreamlike space where the use of sound, color, and iconography provide an entryway into an emotional and conceptual exploration of femininity, sexuality, control and the overwhelming power of the institution. Casey Crane is a Dallas based artist and a current student at UTA. 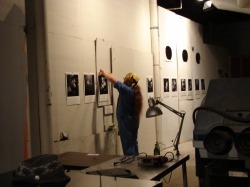 His work explores sound experimentation, print, photography, and new functionality for found objects. Ergo is a Dallas based artist who experiments in graffiti, collage, illustration, and screen printing. Patrick Dowdy is a Dallas based photographer and artist whose work focuses on capturing the live intensity of noise performance artists. 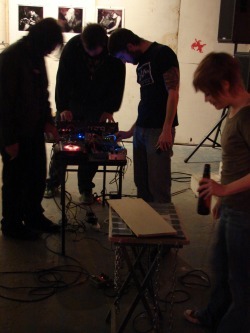 Ascites is a noise performance group that experiments with harsh noise drone synth electronics and who performed periodically throughout the show. Timing is everything, and so it is in the case of John T. Mudd, Taylor Rea, J.J Mudd, and Brad Dale, who combined efforts and influences to create Ishi. Pulling sounds ranging from organic to electric, John and Brad merged their respective musical sounds, from folk to electro, to create a unique and uplifting sound that has come to be known as folktronic.